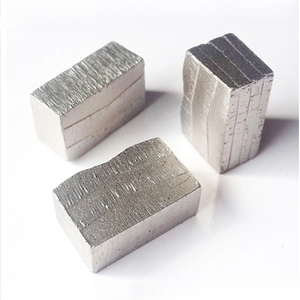 Selection of diamond , internal stress, flatness, abrasive resistance , sharpness of the blades,etc. If you are interested in any of our products or would like to discuss a custom order, please feel free to contact us. We are looking forward to forming successful business relationships with new clients from around the world in the near future. Q:Are sample available for quality test9 A:Yes,for some items we can prepare free sample and clients pay for the transport cost. Pl ea s e send us video and pictures, our technician will analyze and offered solve scheme. New replacement will be packed into your next container or send you directly. Applications: Green Concrete, Asphalt, Abrasive materials. Applications: Angle Grinder, Tuck Pointer. Applications: Angle Grinder, Tuck Pointer. 3) Diamond Cutting Blade for Granite. 3) Diamond Cutting Blade for Granite. 4) Both Standard Core and Reinforced Core are available. If the power or rotate speed is lower than normal, please let us know in advance. 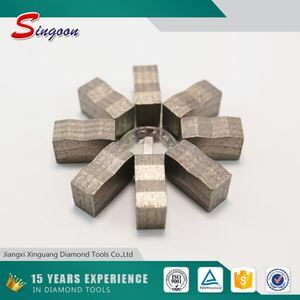 Bairui has a R&D team with more than 10 years of experience in diamond tools. We have been focusing on domestic market and we have a remarkable market share of diamond tools. Both sides with reinforcement : the main usage of reinforcement is that protect the saw blade body , lengthen the working lifespan. 4 . Q: How long is your delivery time9 A: Generally it is 5 days if the goods are in stock. or it is 15-20 days if the goods are not in stock, it is according to quantity. Tags: 14'' Granite Diamond Cutting Tools | Circular Saw Blade For Dry Cutting Stone | Diamond Tools. 3. Checking the hardness of the saw blade to ensure its quality. The freight is highest, the delivery time is 3- 7 days. The freight is lowest, the delivery time is 10-25 days. 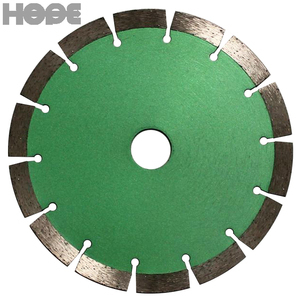 Laser Welded Diamond Saw Blades for Concrete cutting can be designed as request for customers. 2. What about the payment and delivery time9 deposit by T/T in advance,balance before shipment. 4. Can we use our brand9 Sure, we provide OEM service ,just send us your packing design and company logo . Product Introduction Diamond saw blade is a cutting tool that is widely used in the processing of concrete, refractories, stone, ceramics and other brittle materials. Main Usage Diamond saw blades are widely used in cutting concrete, marble, tiles, terrazzo, iron piva, granite, refractories, ceramics and other brittle materials etc . Usually for coarse grinding, we should choose a softer carcass and a high-quality diamond cup wheel, choose a large particle size. We are one of the most professional manufacturers in the field for over 10 years. Q5:Do you accept retail order9 What is the minimun quantity you require9 A5: Yes, we accept retail order. We give the advice according to actual situation for customers make decision. 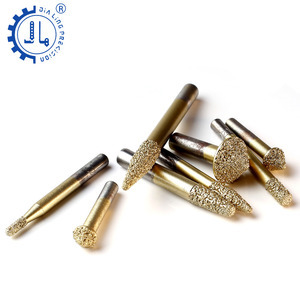 Alibaba.com offers 23,060 granite cutting tool products. About 40% of these are saw blade, 27% are tool parts, and 1% are milling cutter. A wide variety of granite cutting tool options are available to you, such as free samples, paid samples. There are 22,961 granite cutting tool suppliers, mainly located in Asia. The top supplying countries are China (Mainland), India, and Vietnam, which supply 99%, 1%, and 1% of granite cutting tool respectively. 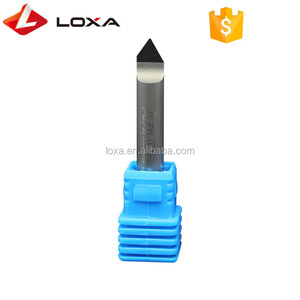 Granite cutting tool products are most popular in Mid East, South America, and Domestic Market. You can ensure product safety by selecting from certified suppliers, including 9,007 with ISO9001, 1,218 with Other, and 511 with BSCI certification.